Ryan lives in North Carolina and works as an employment specialist. 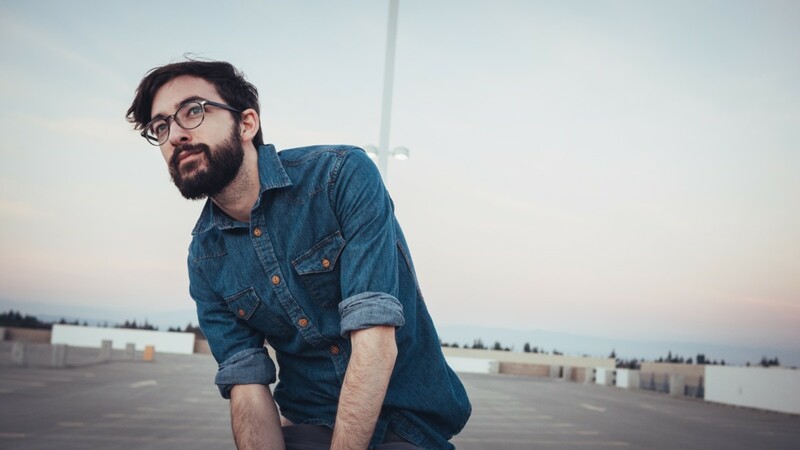 He has also worked as a graphic designer and a technical writer. A couple of years ago I had a routine eye exam. No big deal, right? Except that this time it was a little different. I completed the exam without issue, and as usual my eyes had changed slightly (I'm pretty near-sighted). Put in an order for glasses, and spent the next two weeks anticipating their arrival. Finally the day came, and I stopped by the doctor's office after work to pick up my new specs. Slammed them on my face, packed away my old glasses, and left happy... until about five minutes into my drive. My left eye could see perfectly - crisp and clear. My right eye, however... there was something wrong. I spent the ten-minute ride home opening and closing my eyes one at a time, trying to figure out what wasn't right. My right-eye vision was still blurry - lines slightly distorted the lights from cars and signs as dusk fell. I was disappointed, but thought that maybe my eye just needed to get used to its new prescription. I gave it a week before I called the eye doctor and asked to be seen again - by that time, I just knew the glasses were off. This had never happened before, but first time for everything, right? So the eye doctor checked the prescription, and although there was nothing wrong with the lens itself, they graciously re-checked my eye and ordered me a new pair of glasses. Feeling like I was the star of a new "Groundhog Day" movie, I proceeded to wait another two weeks for my new lens. Lens came in, tech changed it out, and I was confident that this time everything would be just fine and I could move on from what was now becoming a bit of a saga. And.... I still couldn't see. Oh no. Same sensation... same issue. Lines through the lights, fuzziness, and just a general feeling that something was a bit off. But I had paid good money for those glasses, and I had already been to that doctor twice, and so I decided to just move on and try to get used to my new, weird visual circumstance. Fast forward about six months. Six months of eyeball torture, complete with headaches, blurry vision, and much complaining (which my wife did not appreciate!). In fact, it was my wife who suggested I go see a different eye doctor. My benefits had rolled over since the previous visit, and I was free to have an exam at any time. On the recommendation of a good friend who has some pretty major eye issues, I chose a different doctor who I hoped would be able to shed some clarity (ha!) on my predicament. I was not disappointed this time. The new doctor did the routine exam, but then spent some quality time staring at a magnified view of the offending eye. His diagnosis? 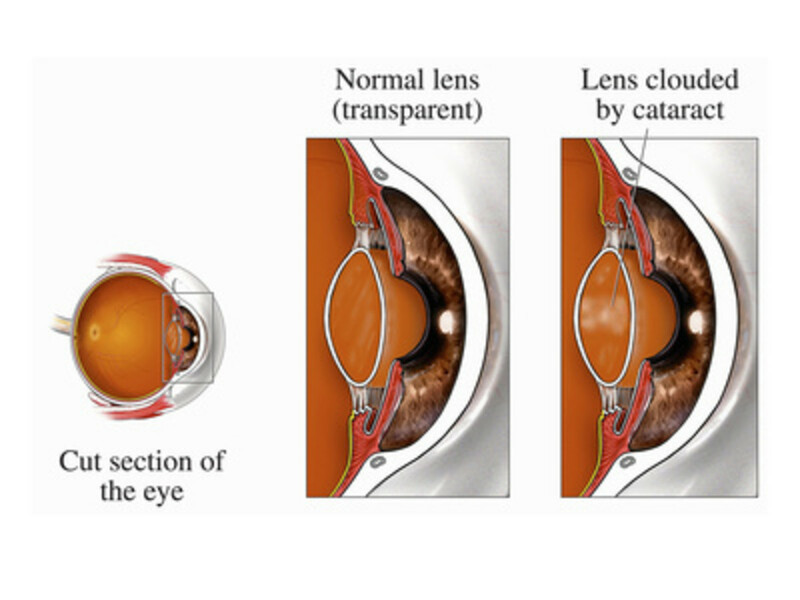 A cataract! Wait, what? Did he say cataract? Yep, as it turns out, the source of my frustration and blurry vision for the past six months was caused by something that I thought I wouldn't have to deal with for another 30-40 years. Surpri-ise! 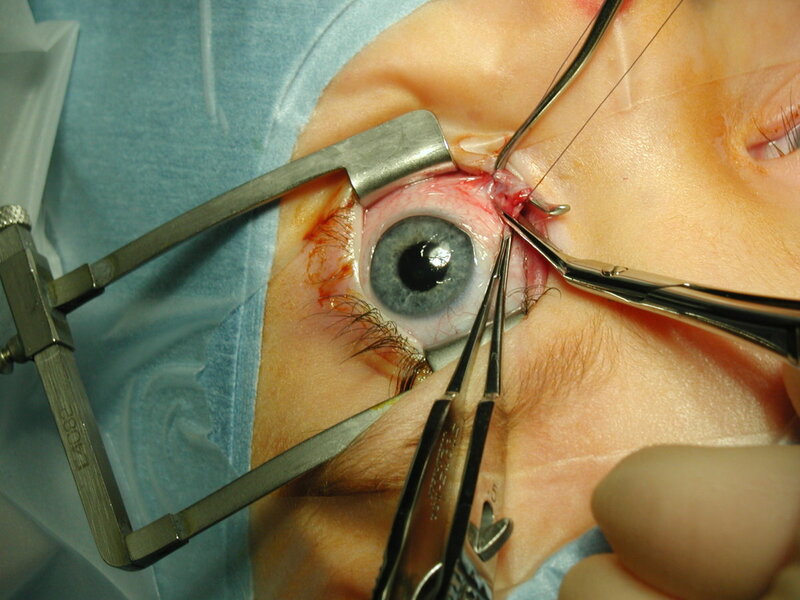 A subcapsular cataract to be exact. As to why I developed a cataract at the ripe 'ol age of 34, he had no idea. 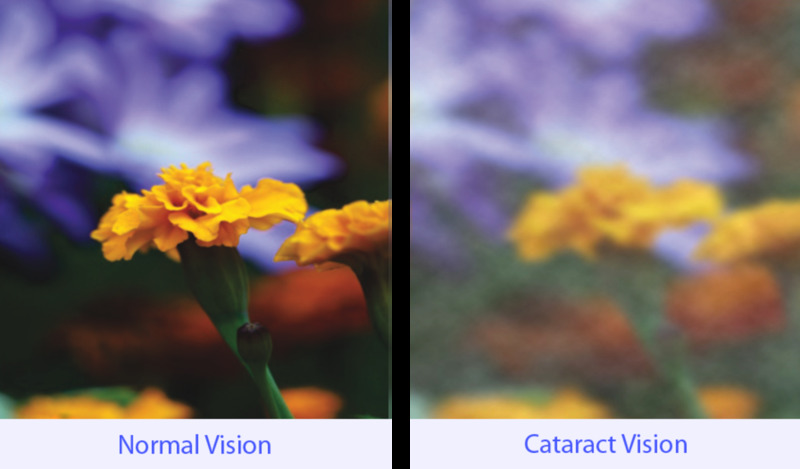 According to visionweb.com, "... [subcaptular cataracts] are more likely to strike those with diabetes, extreme nearsightedness, retinitus pigmentosa or people who take steroid medications." I am (was) fairly nearsighted (around -4 in my right eye), but otherwise none of these conditions describe me at all. My eye doc and I did some brainstorming of possibilities, but we ultimately came up with nothing. 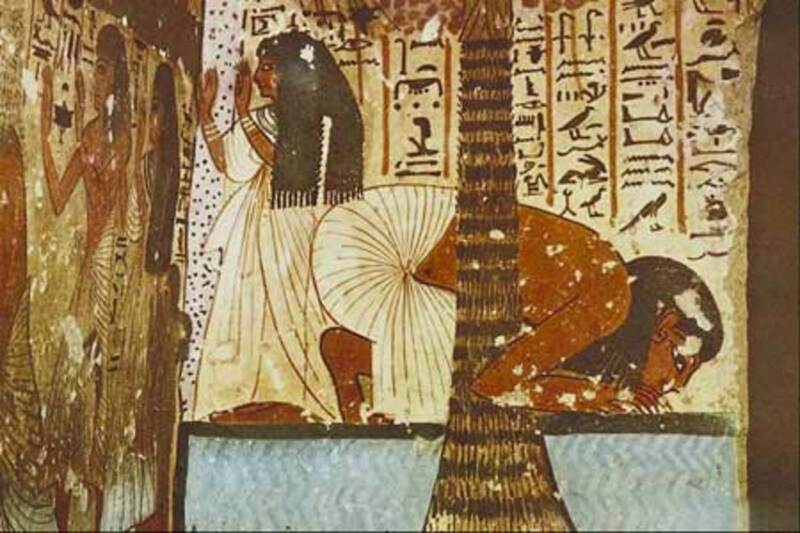 The why is a mystery... and frankly, the why isn't really even as important as how to fix it. Fast forward a year, and it's time for my annual eye exam. During that year I managed to get by with my glasses, although by the time my exam rolled around, my cataract eye vision was blurred once more. It's hard to describe the sensation... it almost felt like I was cross-eyed when I would try to focus on distance, and my depth perception was horrible! My wife hated it when I drove because I was constantly afraid that people changing lanes in front of us were going to hit the cars near them. 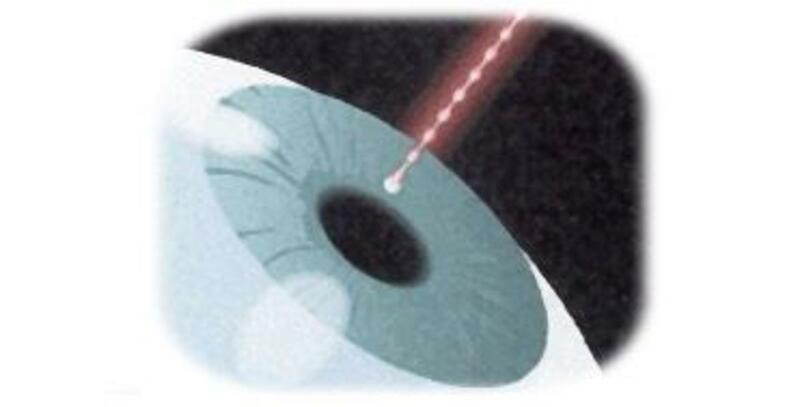 I described these sensations to my eye doctor, and he confirmed that the cataract had grown over the past year. In fact, it had grown to over double what it was the previous year! He then did the "Better 1, or 2" exam, and we discovered that my right eye vision could not be corrected any better than 20/70. There was nothing more my eye doctor could do for my defunct eye... except refer me to a surgeon (which he did). Surgery Consult . . . It's Gettin' Real Now! 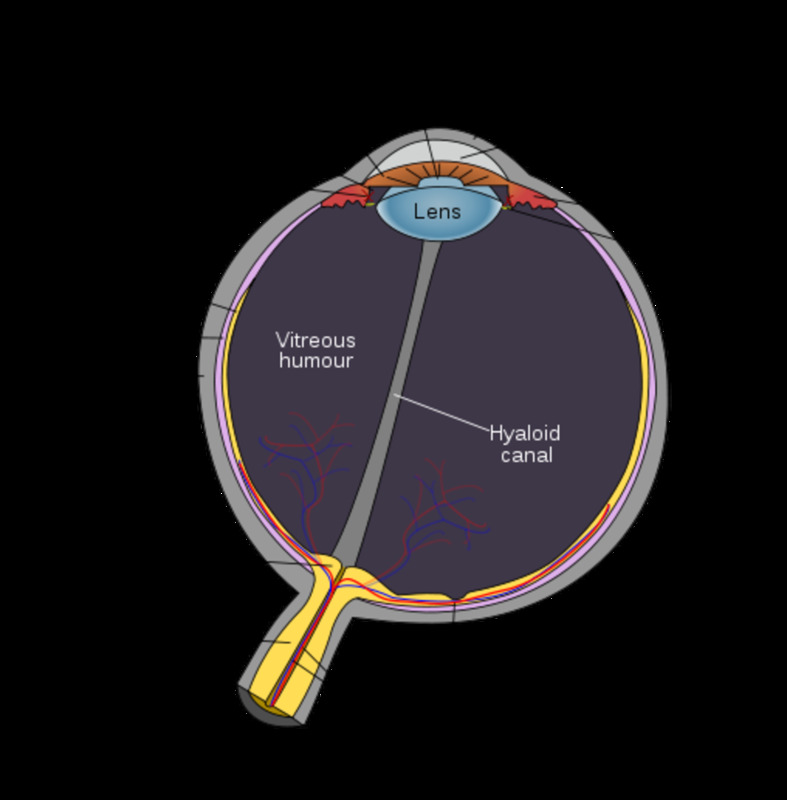 So, cataracts are a common health issue. Really common. Except for 35-year-olds, but I guess there are exceptions to every rule. It took quite awhile to see the surgeon that morning, but it was worth the wait. The surgeon was awesome! He took time to explain exactly how the procedure worked, and some of the pros and cons of having cataract surgery at such a young age. After weighing the pros and cons pretty seriously, I decided to have the surgery. Yes, I would have to wear reading glasses for the rest of my life, but there is a good chance I'll be wearing them anyway within the next 15 years or so. I'll most likely have to wear contact lenses because the correction for my eyes will be so different after the surgery (around 4 diopter difference between the two eyes, which is too much of a difference for the brain to process when wearing traditional glasses), but I could have Lasik surgery on the non-cataract eye in a couple of years, and in the meantime my right eye would be clear! And... a bionic lens—who doesn't want that? The one "con" that gave me pause was the fact that, after surgery, I would no longer be able to focus my vision close up in my right eye. 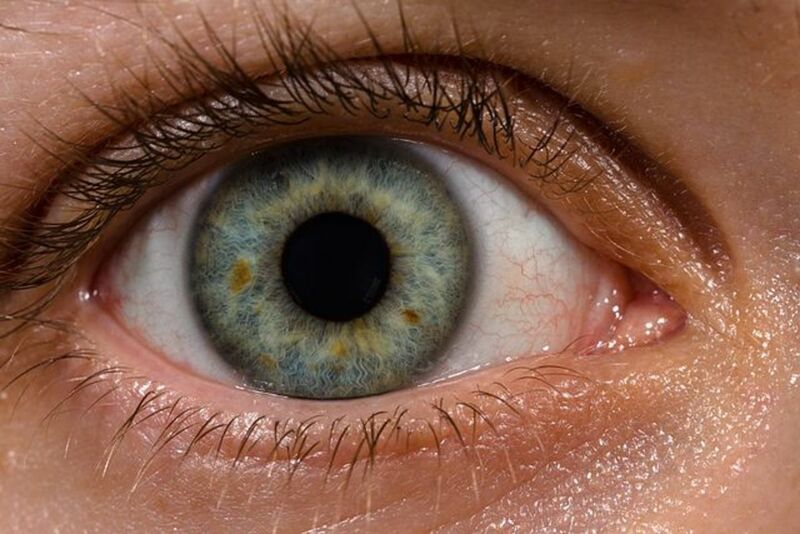 My left eye would still work just fine, but because the artificial lens in my right eye would be inflexible, the muscles that control the flexing of the lens to focus close up would be unable to move the artificial lens. However, I had a couple of weeks to come to terms with the idea of reading glasses, and I decided that this minor inconvenience was worth the ability to see clearly. I signed up for surgery that same morning. Say Goodbye to Blurry Vision! I only had a two-week wait between my consult and my scheduled surgery, and I had one extra appointment in between for pre-op measurements. I also started on antibiotic eye drops the day before surgery, and I had another drop for inflammation that I was to use after surgery for the next three weeks (and boy, were those drops expensive!). Finally the day arrived - surgery day! Before I knew it I was on my way to the hospital with my wife, ready to finally get this done! I signed in and sat down in the waiting room, and it wasn't long before I was called back to the pre-op area. I got situated in a hospital gown (waist up only), and those silly hospital socks with the grippy stuff on the bottom (purple... not really my color, but what can you do?). My pre-op nurse came in, and the first thing she said to me (before even saying hello), was "wow, you're young!" Yea, yea... I've heard that one before. She was a very nice, talkative and bubbly nurse, though, and I enjoyed her brief company. Her main job (aside from putting me at east) was to make sure we had the correct eye marked, and then to give me some dilating eye drops every half hour up to the surgery time. Those dilating drops really worked. 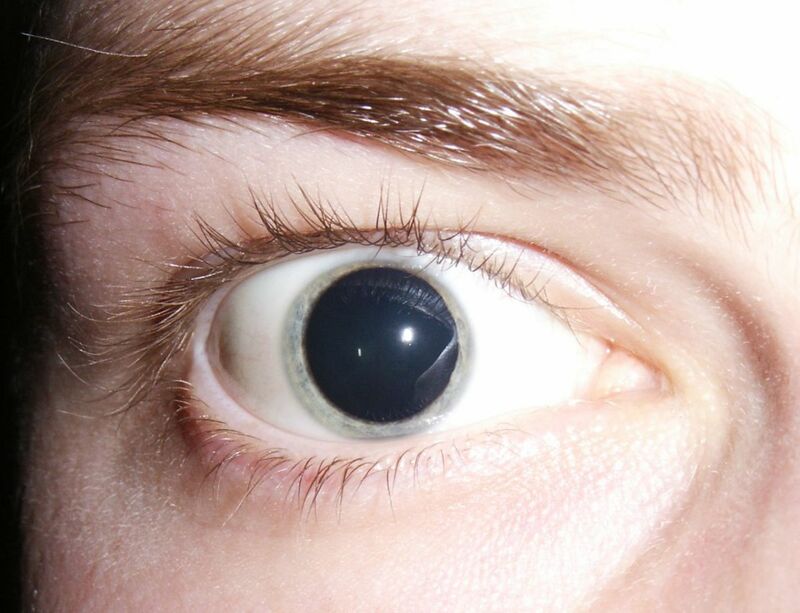 After the first drop, my pupil was so large that you could hardly see my iris at all. By the third drop, I looked like one of those sci-fi aliens with the creepy black liquid eyes. My pre-op nurse kept sending the other nurses in to look—apparently most eyes don't dilate quite so, um... enthusiastically. The surgeon came in at one point to make sure everything was ok, and he was very pleased with the dilation. Makes his job easier, I guess. He mentioned (again) that my age was the reason for the excessive dilation. Next, the anesthesiologist came in and went over the myriad of health problem questions that they "have to ask everybody." Blood pressure, diabetes, breathing problems, etc. The anesthesiologist explained (as the surgeon had before) that they would give me very little anesthesia (just to take the edge off), and that I would be awake and aware for the entire procedure. Oh yea, didn't I mention that? I had to be awake for this procedure. That sounds terrifying, but it really wasn't that bad. The anesthesia really did take the edge off, and I had to be awake so I could follow instructions from the surgeon ("look up," "look down," etc..). My surgeon told me later that he always has his anesthesiologist standing by with drugs to knock someone out if they become too scared or upset, and that usually young people can't hang with the whole twilight thing and end up needing something a little stronger. I was pretty proud of that since I was chill through the whole procedure. Really, I barely felt any effect from the anesthesia... I think by surgery day I had psyched myself up so much that they could've fed me an IV of pure caffeine and I still would've just laid there calmly looking up, down, up while the surgeon poked and prodded (and sliced and destroyed) my eye lens. The surgery was over in around eight minutes. That guy was really fast! He did the intra-occular lens (IRL) implant, and also a procedure called Limbal Relaxing Incisions (LRI), which was supposed to correct my astigmatism in that eye. There was another option for the astigmatism correction called a Toric IRL, but it was around $1,000, and my insurance wouldn't cover it. Anyway, surgery done, the hospital people wheeled me into the post-op room where my wife was waiting for me. I was completely alert, though I did feel relaxed from the anesthesia. I was hoping for a pirate-style eye patch, but it turned out I didn't need anything. Apparently the eyes heal themselves super-quickly. And in retrospect, I'm glad I didn't have the eye patch because I couldn't stop marveling at the vision in my right eye! Everything was so clear! No more haze or blur, or feeling cross-eyed, and that was without any sort of vision correction at all. Everything seemed so vivid and bright! I was stoked. I waited in post-op for around 45 minutes until they determined that I wasn't going to fall out or get sick, and I was allowed to go. I didn't have any pain, scratchiness or excessive watering, which were all things I was warned might happen. The whole procedure, from check-in at the hospital to being wheeled out to the car (hospital procedure), took around four hours - eight minutes of which were actually spent in surgery. I went home a happy, healthy and very slightly artificial man. 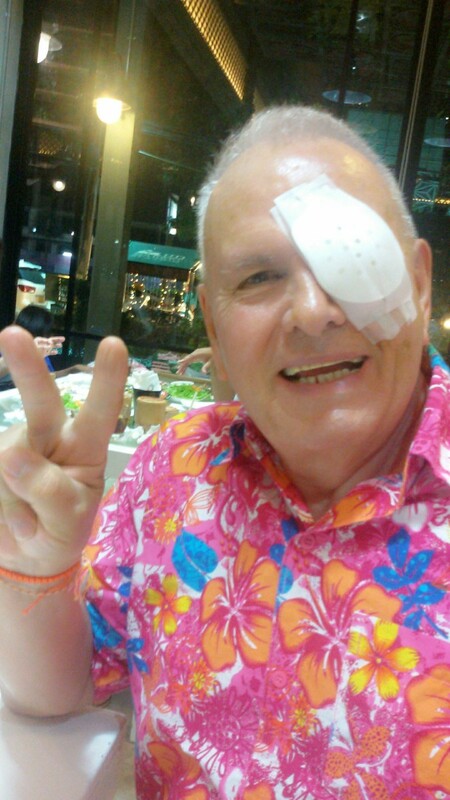 It's been a month now since I had my cataract surgery, and I'm very happy with the results. My eye has healed perfectly with no complications and very little discomfort over the past few weeks. I'm still getting used to having to wear reading glasses, but I knew it was coming and I had already mentally prepared for it. Unfortunately, the LRI (to fix the astigmatism) didn't work as well as we had hoped, and I still have an astigmatism in my right eye. I've begun correcting this with a toric contact lens, which has increased the clarity in my right eye even more. I can see better than I have in a very long time, and I'm so grateful for that! 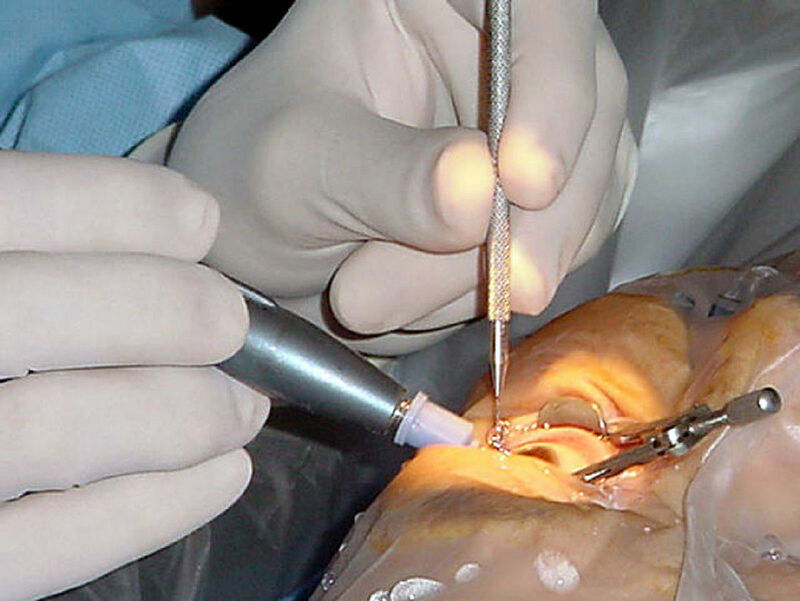 For anyone considering cataract surgery... do it! The prospect is scary, but the benefit (being able to see) far outweigh the minimal set of risks—at least they did for me! How old were you when you were diagnosed with cataracts? 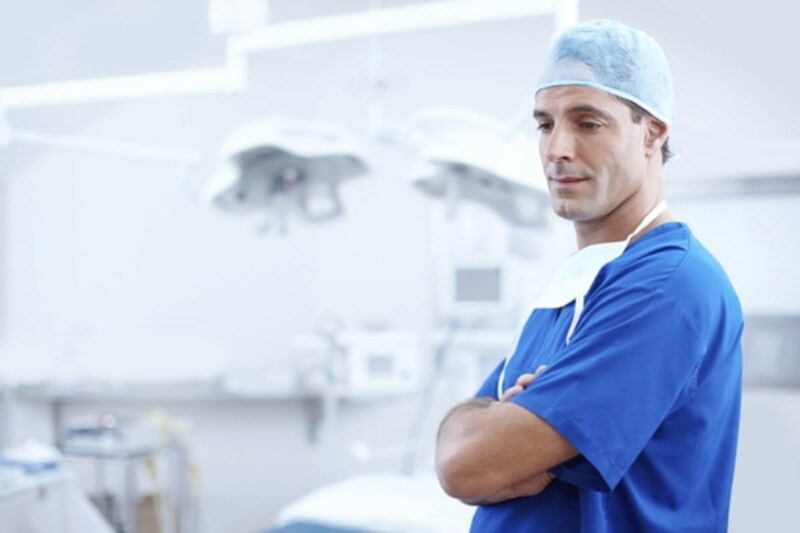 If you've been diagnosed with cataracts, are you planning on having surgery? I had cataract surgery on 22.6.2017 I am 39 years old female.I wanted to know why it happened at a early age.